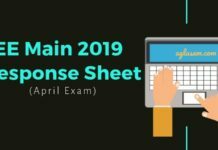 JEE Main Syllabus 2019: Candidates must know the syllabus for JEE Main 2019 to start the preparation in the right direction. The JEE Mains Syllabus for Mathematics, Physics, Chemistry is given on this page. 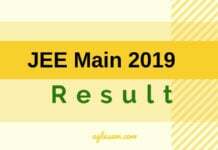 Candidates preparing for the upcoming Joint Entrance Examination (Mains) for April session should study all the topics given in the JEE Main Syllabus 2019. The syllabus is prepared by the exam conducting body that is the National Testing Agency (NTA). 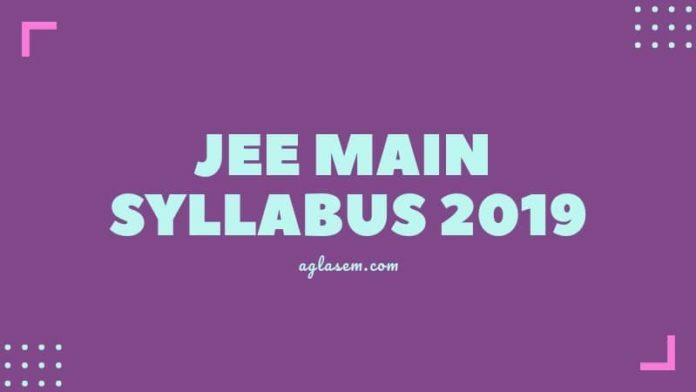 The first step towards JEE Preparation is to know the Syllabus for JEE Main 2019. Prepare well to get good rank in JEE Main Exam. The important topics that the candidates find in the JEE Main syllabus for 2019 are the same topics that are candidates find in the NCERT textbooks. It is adviced to the candidates that they must keep practicing the topics of 11th and 12th level education. To score well in the examination cover all the important topics of Physics, Chemistry, and Mathematics of classes XI and XII. If seen carefully the candidates can find that the syllabus for the IIT conducted JEE examination is exactly like the syllabus of the JEE main examination. However, the examination pattern is a little different. the candidates can refer and practice from the syllabus that we have provided here. They should have a solid hang on the fundamentals and practice efficiently as much as could be expected to ace each subject. The questions that are asked in the physics and mathematics examination basically include the ones which involve calculation. Once the candidates have thoroughly studied the NCERT books, they can move forward and practice the previous year question papers so as to ace the subject. Candidates can check out the below-mentioned syllabus based on class 11th and 12th education. 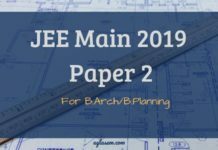 all these topics are highly important for JEE main 2019. From 2019 onwards, the Ministry of Human Resource Development has transferred the authority of conducting JEE Main from CBSE to NTA. This year, NTA is conducting the entrance two times in a year. The first session is already held in the month of January and the second session is going to take place in April 2019. Through this entrance exam, candidates can get admission in the courses such as B.E., B.Tech, and B.Arch in the top most colleges of India. 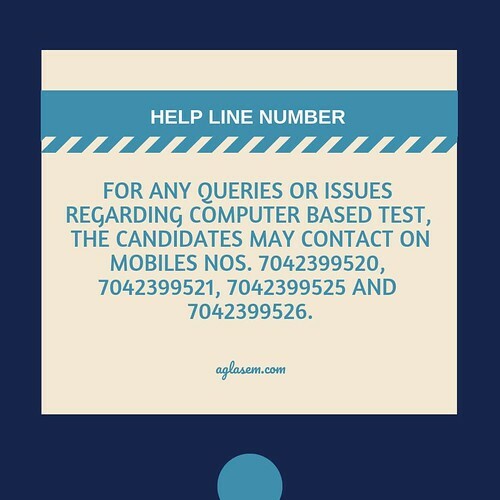 While preparing for the JEE Main for the following academic year, candidates must know the syllabus on their tips as well as the exam pattern thoroughly. Thank you a lots for your precious information.